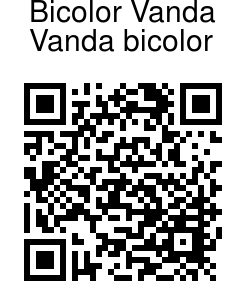 The name "Vanda" is derived from the Sanskrit name for the species Vanda tessellata. 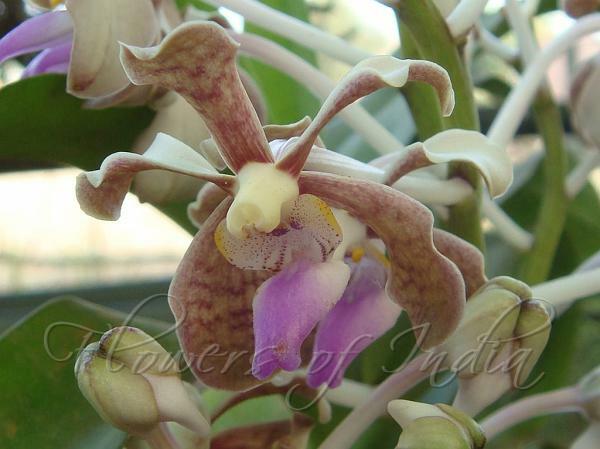 Bicolor Vanda's habitat is northern parts of India. It has flowers which are brownish with darker, checkered marking, lilac at the throat. Flowering: March-May.